Last August Prince George Cougar forward Troy Bourke was the final cut for team Canada's entry into the U18 Ivan Hlinka Memorial Tournament. It could have been a devastating blow for the teenager, and it looked for a while that Bourke wasn't yet over the disappointment as he struggled out of the gate. However he finished strong and it's why TPS has learned Hockey Canada has tapped him for their team this spring. Tonight was supposed to be the game Morgan Rielly returned to the Moose Jaw Warriors line up, but TPS has learned it won't happen. Word is there hasn't been a set back, but that the doctor wouldn't clear him to play, so now he's back to week to week. The Warriors can wrap up their first round playoff series with Regina tonight, which would give Rielly more time to heal. The Regina Pats opened their playoff series with bitter rival Moose Jaw with a 3-2 win, but since then it's been all Warriors including a 5-4 double overtime victory in game 4 Wednesday night. They now lead the series 3-1 and predictably are led in scoring by veteran Quinton Howden. But it's a rookie who's starting to turn heads. Check that, an ultra rookie; Brayden Point just turned 16 - 16 days ago. Word is surfacing that Ohio State defenceman Ben Gallacher is leaving the Buckeye program after just one season. The 20 year old could turn pro and play for the San Antonio Rampage of the AHL or the Panthers for that matter, but he could also suit up for one season in the WHL. Oddly enough the team his father owns, Portland, just listed him. Hmmmmmm. 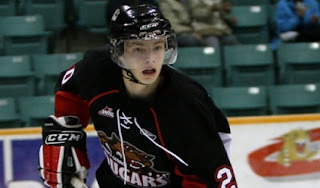 Before going the NCAA route the Calgary born blue liner honed his craft with Boris Rybalka's Camrose Kodiaks, with his best season coming last year with 5 goals, 22 helpers and 119 penalty minutes in 37 games. The 5.11 183 pounder had 1 goal and 12 points along with 30 pim this season in 24 games. Gallacher is an undersized skilled D-man with some grit to his game and could be a very nice find for next year's team which will lose some star power and offence from this year's squad. Will he be a Tyson Barrie type player for Portland? Sometimes even the most bitter rivalries should be left on the ice and forgotten. Calgary and Edmonton worked together to put together the 2012 World Junior Championship this past winter. Finland and Sweden are teaming up for the Men's World Championship this spring. But perhaps the best example is what Hockey Canada is doing this summer for Russia. Last night on The Pipeline Show head scout Kevin Prendergast confirmed that Hockey Canada was going to hold their summer U20 camp in Russia. We'll tell you why after the jump. This is a good news, bad news story depending on which side of the Regina/Moose Jaw rivalry you sit on. TPS has learned that the Warriors will have a rising star back in their line up at some point in the opening round. Morgan Rielly last played for the Tribe November 6th when he chipped in with 2 helpers against Calgary. But an injury against the Hitmen led to Rielly tearing his ACL and requiring surgery. Some thought it would be season ending, the doctors said mid April with the most optimistic time frame being mid to late March. Well they nailed it. The 16-team NCAA National Tournament begins on Friday and culminates with the 2012 Frozen Four in Tampa Bay on the first weekend in April. The Boston College Eagles are the #1 ranked team heading in but in this 1-game format, anything can happen. After the jump, the picks and predictions from Dean, Guy, Taylor and special guest Julie Robenhymer from Hockey Buzz. The 2012 QMJHL playoffs begin tonight with action in two series with the other six beginning on Friday. The defending Memorial Cup champion Saint John Sea Dogs have secured home ice advantage for the duration of the post season and look to repeat as league champions. 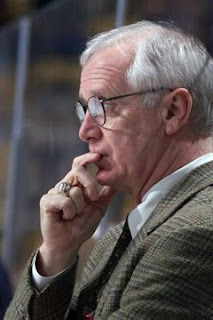 The Shawinigan Cataractes are hosting the 2012 Memorial Cup but don't want to use the backdoor to get to the big dance. Our predictions for the playoffs come after the jump along with guest Willy Palov of the Halifax Chronicle-Herald. 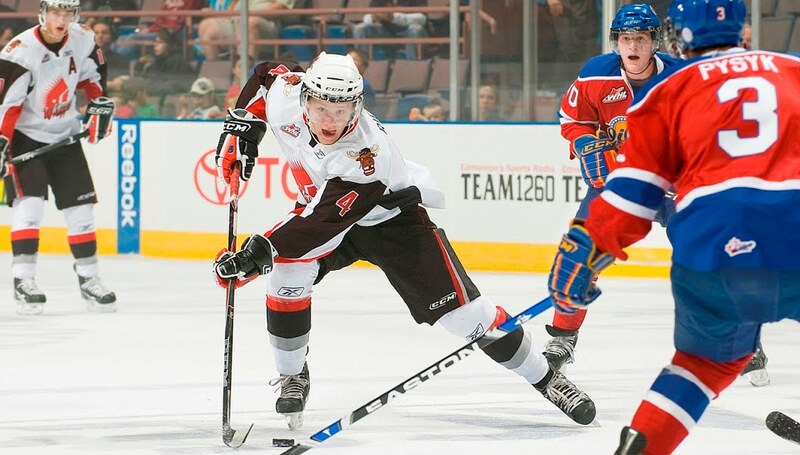 The WHL post season gets underway Friday night with the Kootenay Ice as defending champions. 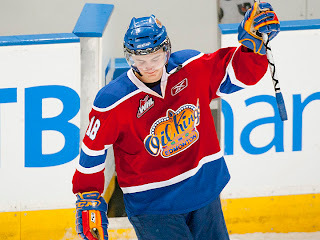 The Edmonton Oil Kings will have home ice advantage after capturing the Scotty Munro trophy with 107 points. After the predictions from Cam Moon - the voice of the Red Deer Rebels, Guy, Taylor Medak and myself. The Ontario Hockey League kicks off it's playoffs this Thursday. Unlike last year when Owen Sound and Mississauga both went to the Memorial Cup, only the league champion will earn a trip to Shawinigan in May. After the jump we feature the predictions of myself, Guy, Taylor Medak and our CHL insider Sam Cosentino from Sportsnet. 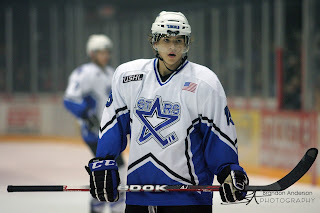 Lincoln Stars 18-year-old rookie Kevin Roy has already established the USHL's tier I single season goal record but now he's within grasping distance of two other notable milestones. With 9 games remaining on the USHL schedule, Roy is closing in on 50 goals and 100 points, achievements not seen since before the league went tier I ten seasons ago. Edmonton Oil Kings forward Henrik Samuelsson was handed a 2-game suspension for a hit delivered Saturday on Red Deer Rebels captain Adam Kambeitz. The result is that the Oil Kings will be without the forward's services for the first two games of their playoff series against the defending WHL champion Kootenay Ice beginning on Friday. If you haven't seen the hit, the video follows the jump. What we want to know is if you think the hit is dirty or not, worthy of 5 and a game he received on Saturday or not and deserving the suspension handed down on Monday. 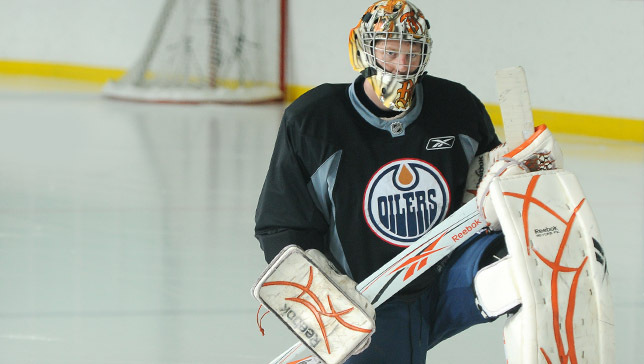 The Edmonton Oilers have signed goaltending prospect Tyler Bunz to a 3 year entry level deal. Congrats to him, he's a good guy and a good goaltender who has a shot at being an NHLer some day. I always wonder though why teams announce this right before the playoffs. I remember Brent Sutter being a little frustrated when one of his 2001 Red Deer Rebels signed his contact with a nice signing bonus just before the post season, and there was a subsequent down swing in said players game. I think that contract negotiations should be stopped by March 1st until that players team is eliminated from his league's post season play. I don't think Tyler Bunz will have a problem with having a sizeable chunk of change in his bank account, he's a pretty level headed kid, but others aren't so lucky. The Pipeline Show has been fortunate over the last several seasons to bring you exclusive blog entries written by a number of players during their NHL draft season. 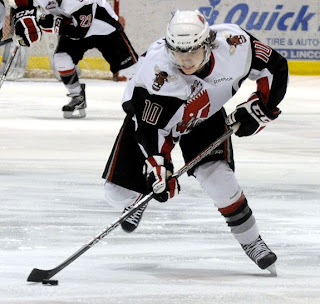 The players who have relayed their experiences for our audience during the 2011-12 season thus far have included Michael Matheson, Cody Ceci, Ryan Murray, Troy Bourke and Brendan Gaunce. Today we are pleased to welcome aboard another member of the Class of 2012. 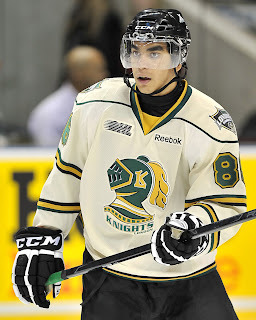 He is a second year forward in the OHL and plays for the powerful London Knights. The Ontario native surpassed the 20-goal mark during the regular season and is looking ahead to the playoffs which begin on Friday as he and the Knights host the Windsor Spitfires. The OHL has continued the trend of coming down hard on dangerous hits as today they suspended Owen Sound forward Mike Halmo 10 games for his hit to the head of Sarnia star Nail Yakupov. The video and explanation can be found here. Halmo is a repeat offender which is part of the reason he has received the 10 spot, had it been his first suspension would he have been handed half of that? Yakupov could be out for the season. Now, part of this responsibility in my opinion falls on Yakupov. It sure looks looks like to me that he drops his head and reaches for the puck. If he doesn't do that can he get out of the way? Is it then a clean hit? If so, why is this Halmo's fault? Just food for thought as you head into your weekend. You tell us. Below are the March rankings for the 2012 NHL Entry Draft. The Edmonton Oil Kings have claimed first place in the WHL's Eastern Conference and the postseason home ice advantage that comes with it. 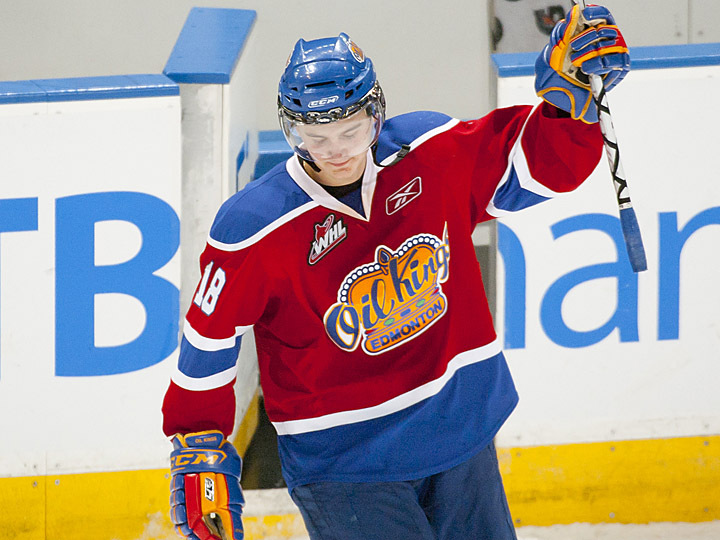 The team was expected to be vastly improved this year and pre-season expectations were that the Oil Kings would challenge for a division and conference title. The September roster was strong but GM Bob Green added a trio of impact players during the course of the season with no cost to his active squad. First it was defenceman Cody Corbett, plucked from Minnesota high school, and then top line player Tyler Maxwell acquired via trade from the Everett Silvertips. Steve MacIntyre put on an old time hockey clinic over the weekend. One of the toughest, but yet nicest guys I've talked to snapped as his Wilkes-Barre Penguins took on the Springfield Falcons. The former Oiler who has played 89 career NHL games received 17 minutes on the play including a match for attempt to injure. The St. Louis Blues have announced that they have signed 2010 1st round draft pick Jaden Schwartz to an entry level contract. The 19-year-old product of Wilcox, SK will join the team in on the road in Chicago tomorrow night. Schwartz was chosen 14th overall in 2010 and has spent the last two seasons with the Tigers of Colorado College. The forward totaled 47 points in his freshman season, 41 as a sophomore. Colorado College's season came to an end on the weekend with an upset loss at the hands of Michigan Tech. The Huskies swept the Tigers in two straight games with Schwartz earning just a lone assist over the weekend. The 5'10 forward is listed at 193 lbs by the Blues but was pegged at 5'9.5 and 190 lbs by Hockey Canada during the 2012 World Junior Championship. Schwartz captained the Red and White during the tournament in Alberta, it was his second stint at the U20 WJC. Before his college career, Schwartz was a standout for the Tri-City Storm of the USHL where he led the league in scoring as a rookie with 83 points. With a goal and an assist last night, Edmonton's Michael St. Croix became the 8th player in the WHL this season to crack the 100-point plateau. It's the first time an Oil King of the modern era has managed to surpass the century mark and the center did it in fine style in front of a nearly sold out Rexall Place. Dauphin Kings head coach Marlin Murray is in some hot water with the Manitoba Junior Hockey League. Last night Murray's Kings lost 5-1 to the Winnipeg Saints. He didn't speak after the game so we have to assume he was upset at the officials who awarded 16 power plays to Winnipeg, of which they scored 4 times. Here is the video evidence. Congrats to the Penticton Vees for winning 41 games in a row. That is a remarkable accomplishment, but the Vees have not set a Canadian junior 'A' hockey league record...yet. Another NCAA coach has voiced his opinion on the CHL vs NCAA debate, and Boston University head coach Jack Parker did not hold back one bit. Parker lost Charlie Coyle to Saint John of the QMJHL just before the World Junior Championship. Recently Coyle who has 28 points in 17 games with the defending Memorial Cup Champion Sea Dogs, signed a pro contract with the Minnesota Wild. Parker's comments and my reaction after the jump.